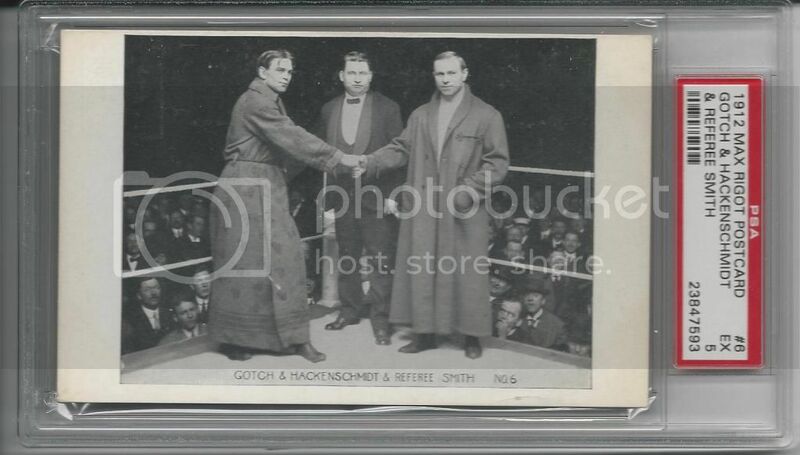 Have gotten into Frank Gotch items recently. Show your Gotch items here. Would love to see them! 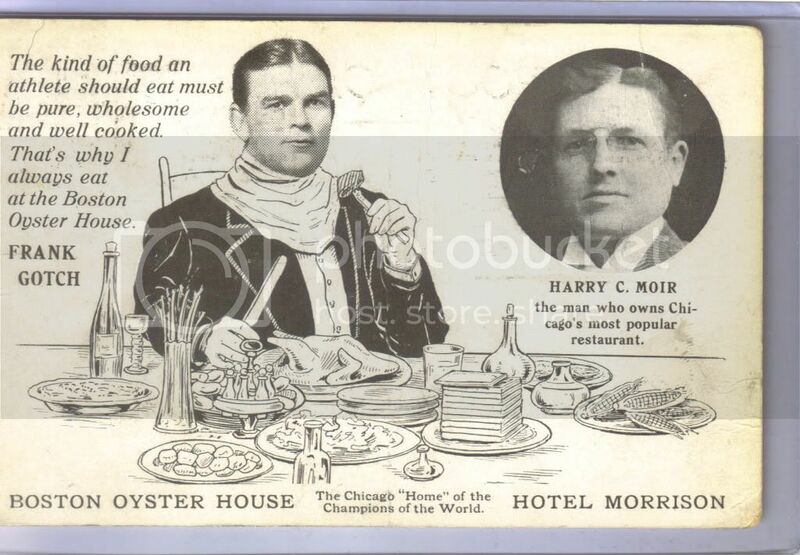 Just pick up this postcard recently. Oh I have a ton of Gotch items.......I will have to contribute to this thread. WOW. I've been looking for every single one of those postcards! Shown it before but here is the Royal Tailor I have. Last edited by jefferyepayne; 12-30-2015 at 11:50 AM. Nice Ticket! Picked up a few things myself recently. Any recent additions to your collection? 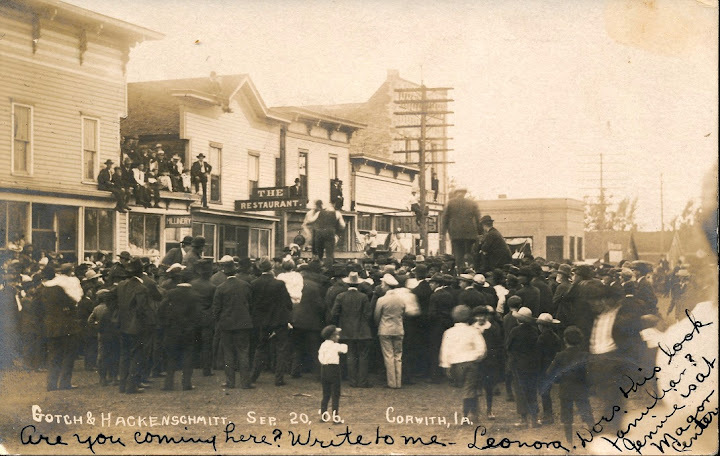 before his September match vs. George Hackenschmidt. Last edited by FourStrikes; 12-01-2016 at 12:49 PM. 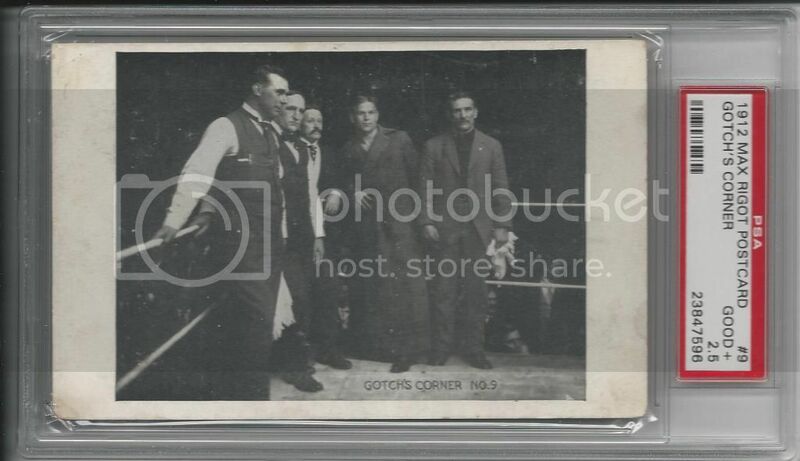 Thanks for sharing....went through my collection and found this one but it is trimmed. If you are ever wanting to part with your postcard please let me know about it. Thanks. 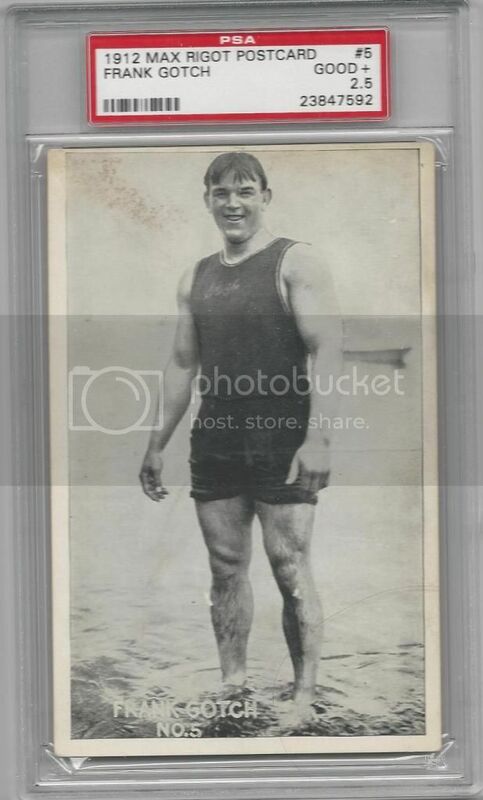 Sports Champions card looks like the grandfather of Andy Richter on Conan!!!! 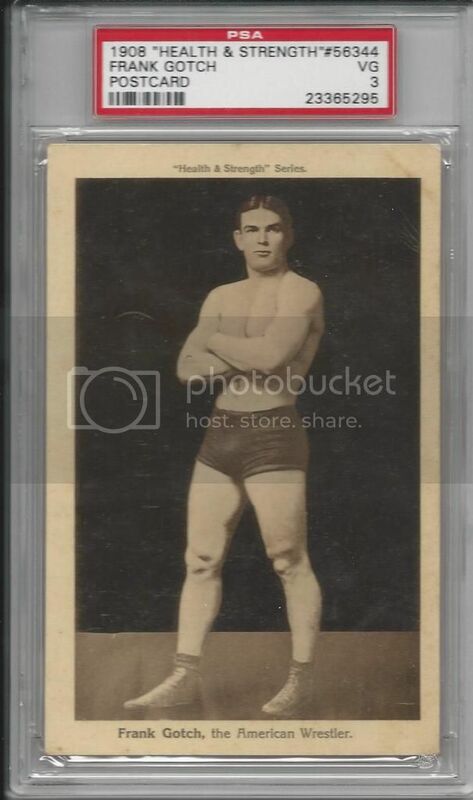 I see you have the #1 Frank Gotch set on PSA. Why is he listed under Non-Sports? And why are sooo many of his postcards not considered part of his Master Set? I'm sure you've dealt with PSA on these issues and I'm wondering what their rationale is. My best guess is that many postcards do not have information on the company that produced them so there is information lacking on how to label them....I totally understand that. As for non-sports I think that is pretty silly and at some point you can move over wrestling when it went to "entertainment" but in reality it would just be simpler if they included them in sports. 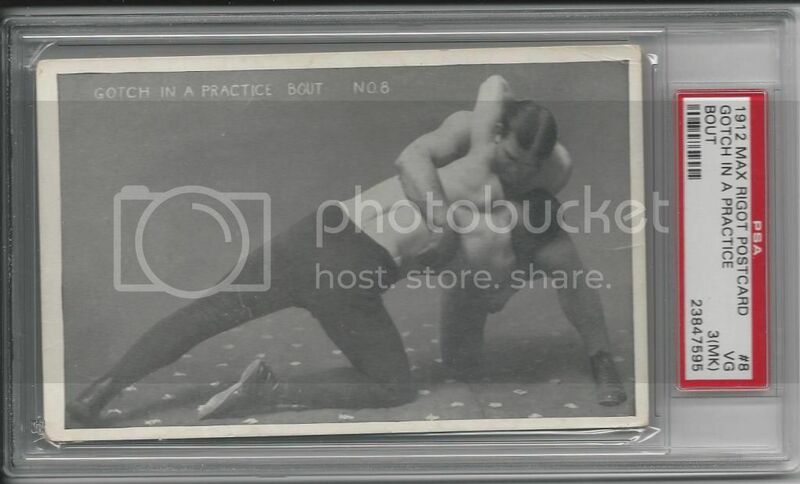 I am going to try and get some different Gotch postcards graded by PSA that have not been graded to date because it should have enough information to do so.....wish me luck. Yeah. 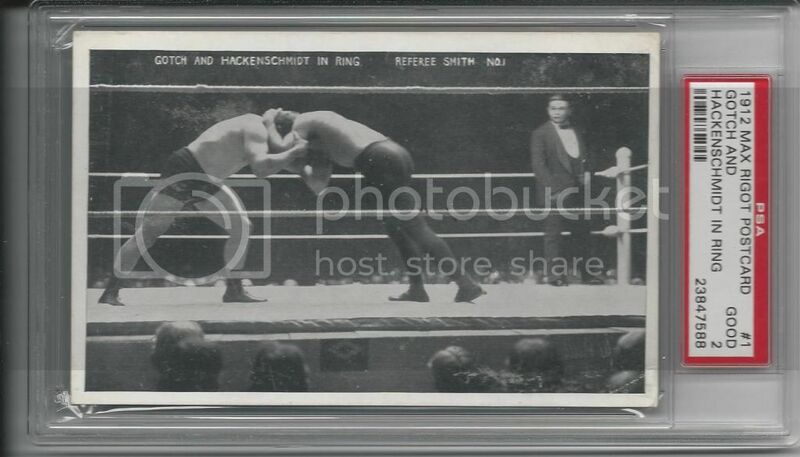 Anybody that thinks what Gotch and Hack were doing at that time was anything like WWF is clueless. P.S. Good luck getting your PCs graded! Sent you a PM, King. Here are a few others I've been able to pick up. Anyone else here attend the NCAA Wrestling Championships each year? Nice postcards, I have each of those......love the one with him and the car. I used to go to the NCAAs each year but haven't as I got into coaching and directing the association freestyle tournaments in my area so I have not been in a while. You headed to St.Louis this year? Absolutely. My Dad and I have been there 27 straight years now. It's become our father / son yearly event. I grew up in PA so am in heaven these days with Penn State doing so well! Do you collect memorabilia from Olympic or HOF wrestlers too? I have some photos / autographs of these as well. I have Olympic wrestling tickets from 1928 until now and just missing Tokyo and Barcelona to have them all. It is just something that I have done for fun. I have a ton of amateur wrestling cards and where my collection started. What are the dimensions of that Royal Tailor? 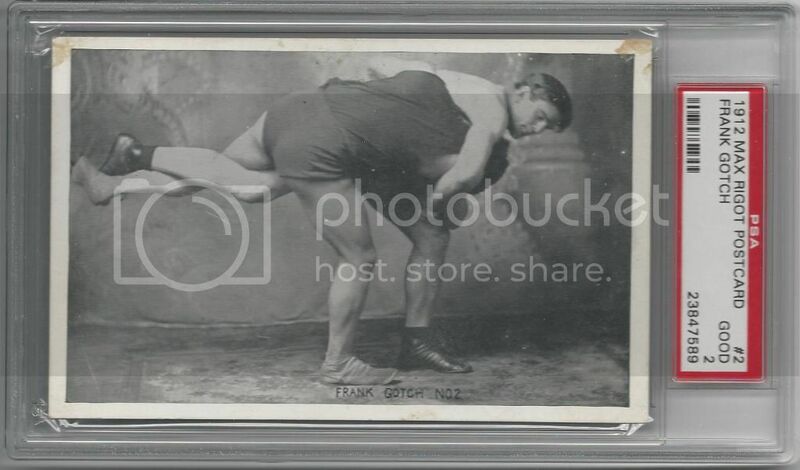 I picked up another 11 Frank Gotch postcards this morning....I should have them by Thursday or Friday. 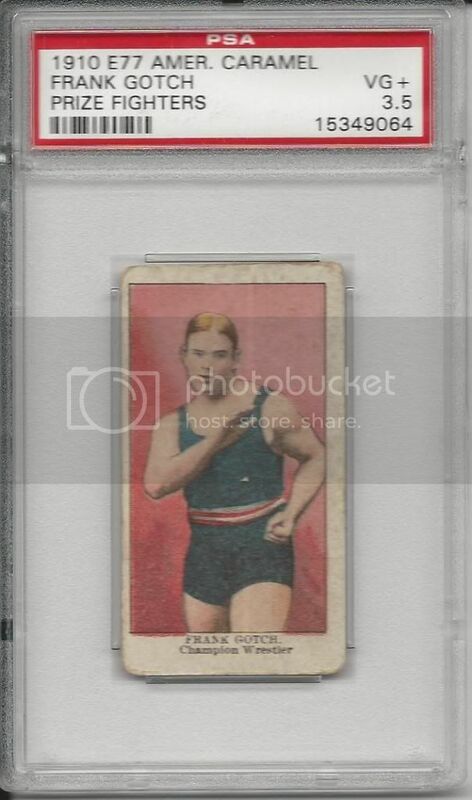 I got this graded and this is a great addition to my collection of Gotch and Hackenschmidt items. This large cabinet is not of Gotch but the man who trained Gotch. Farmer Burns. 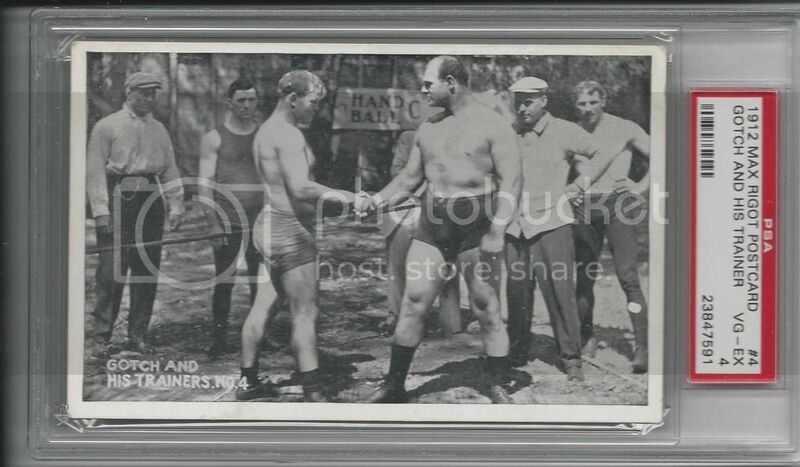 "Sandow was able to get photos of Lewis posing with 12 year old Frank Gotch Jr in newspapers all over the nation on February 20. 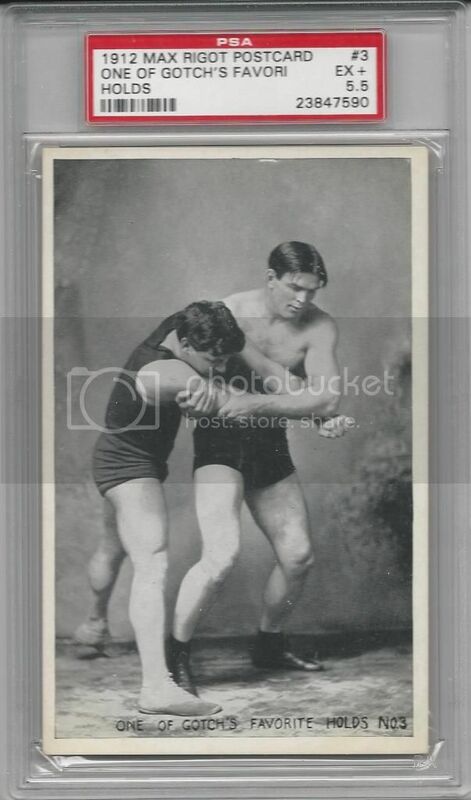 The Strangler claimed that Gotch senior had taught him many things early in his career and he was going to pass the knowledge on to Junior. Lewis promised to take Junior "in tow" and make a wrestling champion out of him, just like his Dad. It was brilliant PR by Sandow but, 20 years later, Junior was working as a financial analyst in Houston. I also found it funny that the report called Lewis the ex-champion." This one's been shown here but it's my only Gotch. Picked it up a few months ago on COMC when they had a big sale going. 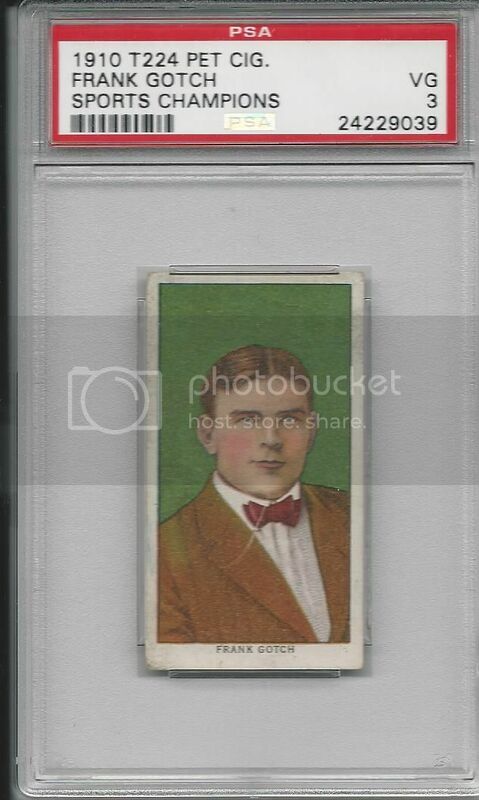 Very nice, if you are looking for more cards from the 16 card Max Rigot series let me know. I have a good selection of them yet as I look to upgrade my set. Last edited by wrestlingcardking; 01-12-2019 at 12:44 PM. 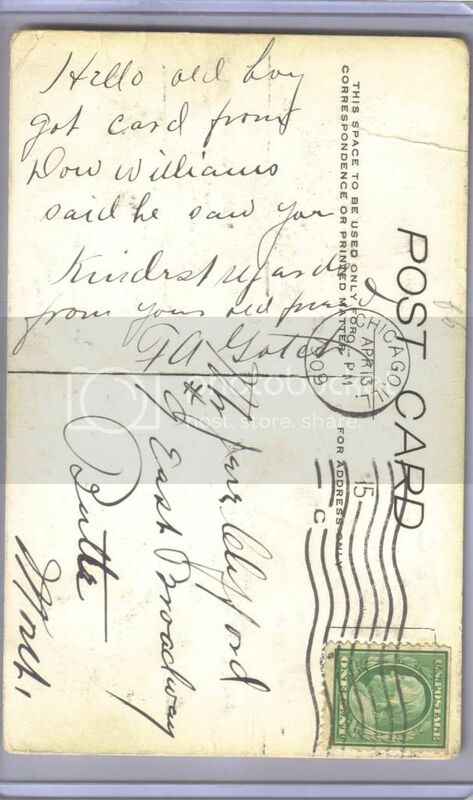 Does anybody know if this postcard came with the writing on it or not? Thanks in advance! The writing is part of the photo.